And some more evidence from independent media how official media is orchestrated and how crises are tool for achieving goals…no matter if there is solid ground for crisis or not. Difference between normal crisis and invented one is that natural is developing gradually while invented one appears out of the blue. (It’s nomal brain acctivity to be shocked while something unpredictable appears all of the sudden). And it’s always named as a crises of century. And people have to be aware and participate into solving it. And all big media call people on duty. How perverted. Crises, invented by elite and in purpose to keep them alive, is put into the responsibility of good citizen behaviour. And, yea, good citizen is the one, who listens the government guidelines. When nation is in crises, all anarchy and liberalism is act against humanity. How better to stop the high growth of Chinese economy, which is evident treat to American economy , than with Tibetan riots and high rise prices. Internal affairs and hungry people slow down economical growth for sure. 33 countries, defined by UN, are facing hunger problem right now. They’ve been advised to liberalise the market by UN, WTO or IMT. Liberalisation in dictionary of neoconservatives. Even more perverted. After all this liberalisation, 3rd countries have 11$ billion minus in food export balance, while they had 6$ billions plus in 1960s. Liberalization of the market in exchange for big loans and to wide open export for American farmers, heavily subsidised by US government. 3rd countries in vicious circle. Less food, more import, high interest rate on loans…By just moving needle in price of food or interest rate, those countries are on verge to survive. What is happening just now. And media are just great tool of bandmasters (see article bellow). Living in post- communistic country i know how shock theory has been applied in economical terms (Jeffery Sachs), as psychologist i saw the effect on people applied on. In both cases, i am against. It’s manipulation on most primal level of human being. I exclude severe psychopathology cos i don’t know enough about results of treatments there. Step Aside Dollar, Is Rice the New Global Currency? …”As the chart makes clear, the ascent of the cost of rice to $24 from $10 per hundredweight over the past year tracks the declining value of the American dollar. The link between the declining parity of the US unit and the rising price of commodities, including oil as well as rice and other wares, is indisputable. China has bid aggressively for rice all year, and last week banned rice exports, along with Vietnam and several other producers. For developing countries whose currencies track the American dollar and whose purchasing power declines along with the American unit, this is a catastrophe, as World Bank president Robert Zoellick warned the Group of Seven industrial nations in Washington last week. Food security suddenly has become the top item on the strategic agenda. Never before in history has hunger become a global threat in a period of plentiful harvests. Global rice production will hit a record of 423 million tons in the 2007-2008 crop year, enough to satisfy global demand. The trouble is that only 7% of the world’s rice supply is exported, because local demand is met by local production. Any significant increase in rice stockpiles cuts deeply into available supply for export, leading to a spike in prices. Because such a small proportion of the global rice supply trades, the monetary shock from the weak dollar was sufficient to more than double its price. It is not only rice, of course, that the cash-rich countries of the world are buying as a store of value; the price of wheat, soy and other grains has risen almost as fast. This might deal the death-blow to America’s hapless efforts to stabilize the Middle East, where a higher proportion of impoverished people eat off state subsidies than in any other part of the world. Egypt has been the anchor for American diplomacy in the Arab world since the Jimmy Carter administration (1977 to 1981), and is most susceptible to hunger. Food prices have risen by 145% in Lebanon and by 20% in Syria this year. Iraqis depend on food subsidies financed by American aid. a. A violent collision or impact; a heavy blow. See Synonyms at collision. b. The effect of such a collision or blow. a. Something that jars the mind or emotions as if with a violent unexpected blow. b. The disturbance of function, equilibrium, or mental faculties caused by such a blow; violent agitation. 3. A severe offense to one’s sense of propriety or decency; an outrage. 4. A potentially fatal physiological reaction to a variety of conditions, including illness, injury, hemorrhage, and dehydration, usually characterized by marked loss of blood pressure, diminished blood circulation, and inadequate blood flow to the tissues. 5. The sensation and muscular spasm caused by an electric current passing through the body or a body part. 6. A sudden economic disturbance, such as a rise in the price of a commodity. 1. To strike with great surprise and emotional disturbance. 2. To strike with disgust; offend. 3. To induce a state of physical shock in (a person). 4. To subject (an animal or person) to an electric shock. Psychological shock can disrupt your life, leaving you engrossed and preoccupied with the event or news that caused the shock. The individual may also have difficulty coping with day to day functioning such as personal relationships and work. If the psychological shock symptoms do not improve and continue to persist, leaving the individual unable to return to normal life, post-traumatic stress disorder may have developed. Food crises, Financial crises, global warming, falling $, high oil prices – what is the lowest common denominator? Nice sentence from “Always take the weather with you” of Crowded house. But is it conquered now? Watching CNN last night i just couldn’t avoid food crisis news; haven’t been able to avoid them while buying newspapers (Newsweek , 2008, the yaar of global food crises , Global food crisis looms as climate change and fuel shortages bite , …. ) I can’t avoid global warming news, although some scientist say that the Global Cooling comes back in a big way. Can’t avoid news about financial crises, high oil prices, falling $, coming recession,… than in commercial breaks: buy now, be greener, cars with lower CO2, secure your investments, eat healthy food,… Like one and the same continuing program without noticing that there are commercials.. Is it there causal relationship? Is it bad policy as they say? Or is it everything so very well engineered? When media over expose some news i become sceptical. Very very sceptical and doubtful. Working in media i know pretty well how media ownership is spread and from where the money comes from. And for a big news spreading around you need very good bandmaster. And a lot of money. We all know that we live in media constructed reality. So what is the reality behind media construction? Is the Bilderberg group and bank elite answer to that? If we going back to past recessions and believe that past recessions were very well engineered (as it well presented in Zeitgeist movie or End Game- Blueprint for global enslavement) why should be different now. Its about making crises, solved them then and gain control over poor hungry and penniless people. I hardly believe that everything has come together so quickly and coincidentally. We know how big power FED has. And WTO, and IMF and UN. All the same policy. Maybe many of this could be speculation, but knowing that media aren’t teling us the truth, we have to be skeptical and try to find the truth behind. To understand the cause not just the results. Just too many coincidences that someone would not recognize clear and horror pattern of lowest common denominator – power-play and control. Some says that chemtrails could be solution to global warming. Most of them deny program for using them for cooling the earth (but patent has been approved, see bellow). Must see movie Aerosol Crimes for everyone who is interested on this topic. Some other think that they are another weapon to control the weather in order to control nations (isolated drought in North Korea and isolated cloudy weather over Belgrade during air strike). 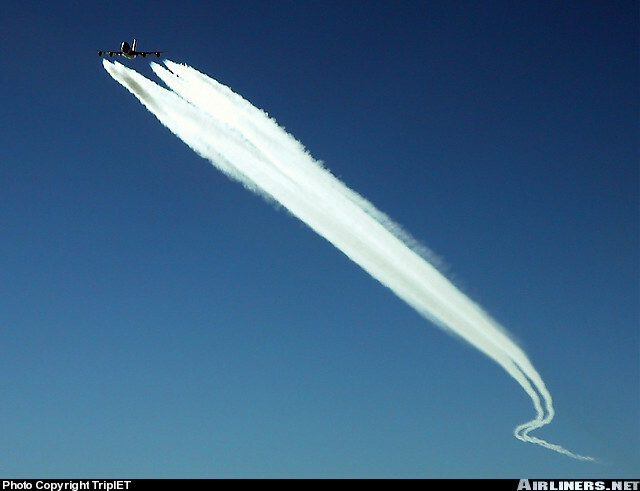 According to some, long-term drought is the result of spraying chemtrails . Temperature drops for 7C and humidity for 30%. In addition to that health problems are reported. Food shortage is the most evident result of drought, isn’t it. And hungry and penniless people are to weak to fight for their rights and think no further than to their stomach. Kissinger said that there are two tools to control people or whole nations: weapon and food. Genetically modified is another scary story (see video bellow). AbstractA method is described for reducing atmospheric or global warming resulting from the presence of heat-trapping gases in the atmosphere, i.e., from the greenhouse effect. Such gases are relatively transparent to sunshine, but absorb strongly the long-wavelength infrared radiation released by the earth. The method incudes the step of seeding the layer of heat-trapping gases in the atmosphere with particles of materials characterized by wavelength-dependent emissivity. Such materials include Welsbach materials and the oxides of metals which have high emissivity (and thus low reflectivities) in the visible and 8-12 micron infrared wavelength regions. The patent describes putting metallic particles like aluminum and barium into jet fuel. Then, exhaust from the jet engine seeds the stratosphere. In turn, those small metallic particles serve a dual purpose by: 1) reflecting incoming light back into space and 2.) helping convert the warmth below into infra-red waves, allowing them to escape from the earth’s atmosphere. “It turned out that it seemed to work and so that’s why we had applied for a patent,” said patent co-inventor David Chang. Chang confirmed that the U.S. military did fund that research while he worked at Hughes Aircraft, an aerospace giant at the time. It would later downsize considerably and evolve into Direct-TV, which required some of the very same kinds of research and development. In fact, Chang described several other military-funded projects where jet engine exhaust dispersed metallic particles into the atmosphere. “For instance, we were using it to develop targets for laser range finders,” continued Chang. I then learned about that U.S. Air Force document titled, “Owning the Weather in 2025.” it details weather modification for war-fighting and describes putting carbon dust into jetfuel for dispersal as the quote, ‘most convenient, safe and cost effective method,” just as the Welsbach Patent explained. That method is described on page 15 of the Air Force report, originally written in 1996 as a study paper. In September of 2002, then-Secretary of State Colin Powell even told a United Nations World Summit in South Africa quote, “we are committed to a billion-dollar program to develop and deploy advanced technologies to mitigate greenhouse-gas emissions.” Powell never fully elaborated. And few may remember that the U.S. military used covert weather modification in the past. During the Vietnam War a top secret mission called ?Operation Popeye,? seeded clouds over the Ho Chi Minh Trail to create floods and wash out the enemy’s supply routes. Reporter Jack Anderson is credited with breaking that story back in 1971. Watched today his next master piece, very original, absurd surrealistic comedy “Crimen ferpecto” (The Perfect crime). So much black humor, with social satire on consumerism and machism. Some twists in movie are so brilliant. Alex de la Iglesia is very talented and very underrated director. Just increased my love toward Spanish movies. It’s hilarious. It’s poignant. It’s artistic. It’s even philosophical at times. I can’t imagine anyone not liking this film. “Crimen ferpecto” is a great surrealistic comedy along the lines of “Being John Malkovich”, “One Night at McCools” or even the masterpiece “Brazil”. The plot begins bizarre, and from there it gets ever bizarrer. Set in a department store (the perfect metaphor for the human condition! ), this film brilliantly weaves the themes of glamorous/plastic life versus the mundane/real. Trapped between worlds and desperately trying to achieve the former is our hero Rafael, a man whose entire life exists within the ladies’ clothing department. Somehow he gets wrapped up in murder, blackmail and ectoplasmic visitations from lovable corpses. Yeah, I told you it gets bizarre. But despite the zany plot, there’s a very poignant & sober message that runs just below the surface. It’s subtle, but it comes to fruition during the magnificent climax when we realize exactly what this whole wacky movie is about. If you’ve paid attention to symbolism, metaphor, allegory and all that intellectual jazz, you’ll get it, and you’ll see how everything fits into place. If not, fine, you’ll enjoy the picture anyway because it’s just plain funny. The beauty is that you can take it at your own pace. Great film. Damn near perfect. Er… ferpect. In physics, resonance is the tendency of a system to oscillate at maximum amplitude at certain frequencies, known as the system’s resonance frequencies (or resonant frequencies). At these frequencies, even small periodic driving forces can produce large amplitude vibrations, because the system stores vibrational energy. Resonant systems can be used to generate vibrations of a specific frequency, or pick out specific frequencies from a complex vibration containing many frequencies. Places where we spend our lives. Places that we visit for just a moment. Places we discover by chance. Places that attract us by their name on a map alone. Places we will never see again. Places we can never forget. Places we long to come back to. Places that make us feel at home. Places that fill us with awe. before we ever got there. and places that we lost. An initiate in the mysteries of alchemy who did not recognize the statement Know Thyself! was not an alchemist. Alchemists who did not know where to start their chemistry were the same as Rosicrucians whocould not find their Order. They were simply initiates who had not yet properly found and accepted themselves, and got on with life. labeled Osiris or Amun was the god within himself. On a more mystical level, the legend of St George represents the personal victory of an individual’s purity and virtue over the hundred evil heads of his own base nature, ignorance and moral vice.855 In alchemical terms, it is the combat of the Knight (Secret Fire) with Stibnite (the Dragon), which, after much purification:856 is born the astral stone, shining as pure as silver, and which appears to be signed, bearing the imprint of its nobility, its stamp (a claw) … a sure indication of the union and peace between fire and water, between earth and air. The Dragon, who has been female to this point, is now hermaphrodite, meaning both female and male. It takes on the male aspect of the Knight and prepares to mate with the Goddess of Wisdom. In the contrived process of mating, the Dragon disappears and all that remains is the purified, reborn Knight as the beneficent Star of Life, also called Phosphorous, meaning the bringer of light.866 The Soul, of course, never dies and remains constant throughout the process. Revelation portrays this scene.867 The number 666 is the number of a man and represents his Spirit:868 Here is wisdom. Let him that hath understanding count the number of the beast: for it is the number of a man; and his number is Six hundred threescore and six. The Gnostic-Rosicrucian Knight is a philosopher in search of Truth because he searches for his sacred marriage with the Goddess of Wisdom. If successful, he becomes a Knight Quadosh. Quadosh signifies Holiness, Dedication and Sanctification.884 He is also called a Knight of the Feast of the Brotherhood because his ordeal is celebrated by the Feast of the Brotherhood held on Passover Eve, also known as theAgape or pure Feast of Brotherly Love. To be governed (as we call it) by one is not safe; for it shows softness, and gives a freedom, to scandal and disreputation; for those, that would not censure or speak in of a man immediately, will talk more boldly of those that are so great with them, and thereby wound their honor. Yet to be distracted with many is worse; for it makes men to be of the last impression, and fun of change. To take advice of some few friends, is ever honorable; for lookers-on many times see more than gamesters; and the vale best discovereth the hill. Lost in the depths of life! That is not yet there. … That perhaps is not yet there. The initiated know this experience as the happy gate of blackness … which art the passage to this so glorious change.962 It is the gate of Saturn. 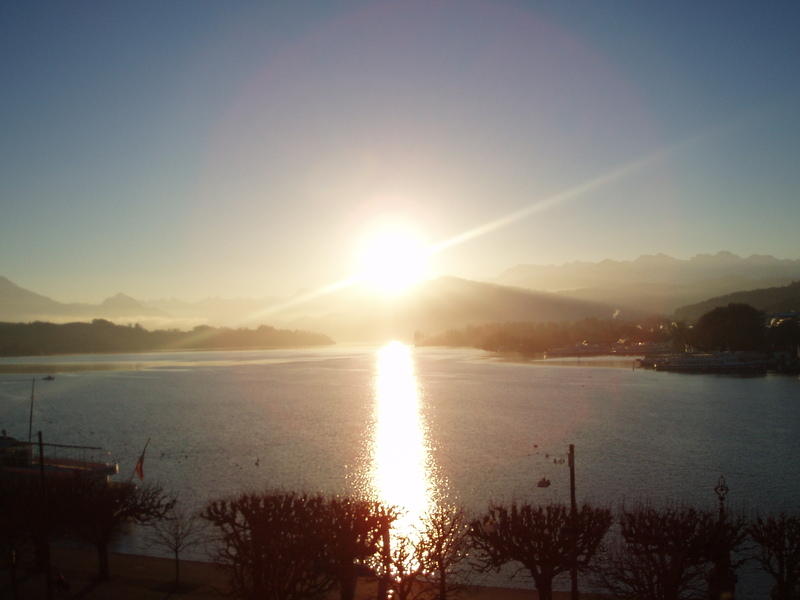 Apuleius describes his experience of Luminous Night with the mysterious words: At midnight, I saw the sun shining brightly with a splendid light. She walked into the room and went to the window. She opened it. She didn’t know why she did this. Then she knew. She wanted to feel the sea tang on her face and the flow of time in her body, to tell her who she was.” (Body artist, Don DeLillo). She seemed scared. Would offer her a cigarette to calm her down. Had none with me. Kind of understand her. Does light see darkness? Does gravity feel antigravity? Does matter touch antimatter? Does reality exclude virtual than ? Who is the judge? The one who created light? The left or right hemisphere? Me? I would vote for the last one. But this is only my choice. Not anybody else . And I feel good. I decide and she is not feared anymore. Me neither. Returned into known arms. Don’t promise that i will not escape never again. But now i know now how to come back. In circle of day and night, joy and pain, if you keep on walking you always come back. Over the border there is no roads, there is a jungle and the road should be created with a machete … sometimes ur on ur knees and begging home …but unknown whispers with such a sweet voice u can not return…you keep on walking and falling. Do Quantum entangelment and Mirror neurons prove that everything and everyone is connected? The lowest common denominator of the weekend: wind. Had 5h delay from roundtrip Frankfurt – London” due to strong wind on Friday. Terrible turbulence on air. But than…a lot of time to think and to shop on crowded airport. Bought Gribbin’s book: In search of Schrodinger’s cat and Vonnegut’s A man without country. So Heathrow has positive sides too. Saturday’s strong wind made the first this year’s regatta almost scary. Up to 30 knots. But this makes sailing so exciting. To challenge yourself and your fear. Sunday resulted in muscle pain, so perfect excuse to read and watch movies all day long. This wierd Schrodinger cat made me think. Prologue starts with title “Nothing is real.” Cat could be either dead or alive. Than i watched again “What the bleep do we know?” Eye opening, inspiring documentary. How everything is connected. Shift of paradigm..from solid reality toward reality of endless possibilities. Shift from duality toward unity. And got Enigma A posteriori album this weekend. Amazing album! I was on Maksim Mrvica concert today. He plays so great. So tenderly, so smoothly, so powerfully, so passionately. I like his pop approach toward classic music. Even though that was classical concert today, there were half of teenagers and students. He is one of those who brought back piano music to younger population. In addition to that…he looks gorgeous! Film ends in Australia (Aboriginal concept of dreamtime), where his mother and father live hidden in cave and experiment further how to record their own dreams, memories and watched them lately . What becomes obsession. Escape into dreams, into memories. And finally disillusion of illusions. So according to article above, 17 years after Wenders’s ScFi movie of watching memories and dreams , dreams might come true. And his vison of future of comunication as well. Does the divided soul remain the same? Read really interesting article in Nature: “Brain makes decisions before you even know it.” The never ending questioning about free will. When we are talking we don’t think usually about next sentence. Words come smoothly as they follow certain pattern without big effort. Like something within us is putting words on our tongue and we reproduce them as air which going thorough flute and makes nice sound… So are we talking or we are talked? This brings into light importance of inner silence and clearness of mind. Think it over: your brain might pre-empt your conscious when deciding what to do. Punchstock Your brain makes up its mind up to ten seconds before you realize it, according to researchers. By looking at brain activity while making a decision, the researchers could predict what choice people would make before they themselves were even aware of having made a decision.The work calls into question the ‘consciousness’ of our decisions and may even challenge ideas about how ‘free’ we are to make a choice at a particular point in time. “We think our decisions are conscious, but these data show that consciousness is just the tip of the iceberg,” says John-Dylan Haynes, a neuroscientist at the Max Planck Institute for Human Cognitive and Brain Sciences in Leipzig, Germany, who led the study.“The results are quite dramatic,” says Frank Tong, a neuroscientist at Vanderbilt University in Nashville, Tennessee. Ten seconds is “a lifetime” in terms of brain activity, he adds. Haynes and his colleagues imaged the brains of 14 volunteers while they performed a decision-making task. The volunteers were asked to press one of two buttons when they felt the urge to. Each button was operated by a different hand. At the same time, a stream of letters were presented on a screen at half-second intervals, and the volunteers had to remember which letter was showing when they decided to press their button. When the researchers analysed the data, the earliest signal the team could pick up started seven seconds before the volunteers reported having made their decision. Because of there is a delay of a few seconds in the imaging, this means that the brain activity could have begun as much as ten seconds before the conscious decision. The signal came from a region called the frontopolar cortex, at the front of the brain, immediately behind the forehead. This area may well be the brain region where decisions are initiated, says Haynes, who reports the results online in Nature Neuroscience. The next step is to speed up the data analysis to allow the team to predict people’s choices as their brains are making them. The results build on some well-known work on free will done in the 1980s by the late neurophysiologist Benjamin Libet, then at the University of California, San Francisco. Libet used a similar experimental set-up to Haynes, but with just one button and measuring electrical activity in his subjects’ brains. He found that the regions responsible for movement reacted a few hundred milliseconds before a conscious decision was made. But Libet’s study has been criticized in the intervening decades for its method of measuring time, and because the brain response might merely have been a general preparation for movement, rather than activity relating to a specific decision. Haynes and his team improved the method by asking people to choose between two alternatives — left and right. Because moving the left and right hands generates distinct brain signals, the researchers could show that activity genuinely reflected one of the two decisions. But the experiment could limit how ‘free’ people’s choices really are, says Chris Frith, who studies consciousness and higher brain function at University College London. Although subjects are free to choose when and which button to press, the experimental set-up restricts them to only these actions and nothing more, he says. “The subjects hand over their freedom to the experimenter when they agree to enter the scanner,” he says. What might this mean, then, for the nebulous concept of free will? If choices really are being made several seconds ahead of awareness, “there’s not much space for free will to operate”, Haynes says. But results aren’t enough to convince Frith that free will is an illusion. “We already know our decisions can be unconsciously primed,” he says. The brain activity could be part of this priming, as opposed to the decision process, he adds. Part of the problem is defining what we mean by ‘free will’. But results such as these might help us settle on a definition. It is likely that “neuroscience will alter what we mean by free will”, says Tong. According to Wikipedia most of the current favelas began in the 1970s, as a construction boom in the richer neighborhoods of Rio de Janeiro initiated a rural exodus of workers from poorer states in Brazil. Heavy flooding in the low-lying slum areas of Rio also forcibly removed a large population into favelas, which are mostly located on Rio’s various hillsides. According to movie, government pushed unemployed and rural people into the “City of God”. It seems to me that our capitalistic society is ruled by the same principle, just on more noble and sophisticated way. Vietnam, FED, Bilderberg group, September 11, Irak, ….alpha males, drug trafficking, weapons trade, civil causalities in the name of power and $$$ ….order within the order, order which orders all or strange attractor? When after many iterations you can recognise pattern. Rocinha – the largest and most complex favela of Brazil. This favela holds 150000 people within 1 square mile. Can Chaos theory as theory of dynamic systems explain dynamics of social behaviour? Chaos theory offers an explanation and description of the transformation of social tori and other strange attractors from quasi-stability toward deep chaos. The short version is that when the periods of a system bifurcate the third time, they are in a situation where another very small change can produce great numbers of possible endstates toward which a person, a group, a business or a society might go. The operative point to keep in mind for a theory of deviancy is that this great increase in alternative ways to behave is a feature of the whole system not just the single, acting person; punishment of individuals for trying to cope with such emergent conditions is an exercise in folly if not in mean-spirited vengeance. And, for those in social philosophy generally, it is good to remember that even in deep chaos there is a great deal of order. And, even in deep chaos, it is possible to obtain an uncertain stability. A. Hbler (1992), of the University ofIllinois, Urbana, has shown that, if one can model the key rhythms of chaotic displays, one can control chaos even in the most uncertain regions of a bifurcation map. An important point to note is that, in a sea of disorder, there are pockets of order. The emergence of such pockets of order is entirely unpredictable. Ilya Prigogine (1984) won a Nobel prize for setting forth the principles by which new order emerges out of disorder. Watched today similar movie The Departed regards structures within the structure, voilence with its own rules. Well done (of course Scorsese), great actors (Di Caprio, Nicholson, Damon, …). Music as well: Roling Stones, Pink Floyd,.. Won 4 Oscars, excelent Scorsese’s movie piece. It just hasn’t touched me so much as City og God where the players were mostly amateut actors. And where reallity heavely strikes you. All have come back to memories this week. My movies’ week, my week, my life. Erased memories, lost memories, precious memories. Memories as function of past and memories as function of future. In linear time or in cyclic time? This music is an early anchor of my love toward movies… Cría cuervos (Feeding the Ravens) -1976 of Carlos Saura was one of my earliest…but remember just this one (except of some SFi :-). I was as about her age (Ana) at the time when i first watched it (cos movies came a bit late in CE Europe upon Communist regime. and Spain has just got rid of Franco regime). I have special affinity to Spanish movies from than time on. Loved this movie so much, loved that music so much with my kid’s mind. Watched it again during university …and today. I don’t know why it took me so long. I loved it on a same way as today. Strange. The same feelings, the same beauty, the same adoration. As the years haven’t passed by. When i listen this music, it opens so huge landscape within me. Like its part of me from ever. Seems i very much indetified with her. Looked petty much the same as a kid. Can feel myself the same as that time and the same as today… As I’ve never grown up. As i am the same all the time. Glimpse of Infinity? What are memories, what is personality consists of, what is grown up process if feelings stay the same. Where is the time in this perspective? There is another aspect of QM that Everett’s formulation makes too obvious to avoid – there is no one reality. Every quantum world differs from every other. Existence is relative. How can this be? Is our universe not consistent? Again, a human analogy is useful. When you go to a party, you usually meet people you’ve never met before, whose worlds you have never known. Some of those worlds can be quite something, too! In physics language, there is little correlation between your states. By the end of the evening (interaction), you have some shared party experiences – your states are more correlated than they were before. If you never meet again, the shared memories fade, and your worlds slowly return to almost their previous separateness (they decorrelate). You’ll never be the same again, but you’re still the same you. That’s what happens in the quantum world too. However, QM takes the concept to its limit – every quantum world seems correlated with every other world precisely to the degree necessary to keep the universe consistent, and no more. QM is not the uncertainty principle, it is built upon Planck’s constant. The many worlds of QM are very precise entities in their own way – the most precise of any physical theory we know. Another aspect of the universe that Everett’s formulation can help to understand is time direction. Time has two distinct attributes. Cyclic time is like a pendulum. It’s reversible, related to Planck’s constant, and is obvious from Schrödinger’s equations. But, time also has a direction to it, and that’s not obvious from Schrödinger or Heisenberg at all. In fact, many physicists whose student days predate Everett still consider the arrow of time to be a flaw of our understanding. It is, however, self-evident in the Everett formulation – quantum worlds abruptly appear, then gradually fade from existence, a clearly time direction dependent phenomenon analogous to the appearance and spread of ripples on a pond after a point disturbance. Things do happen to individual quanta in QM. 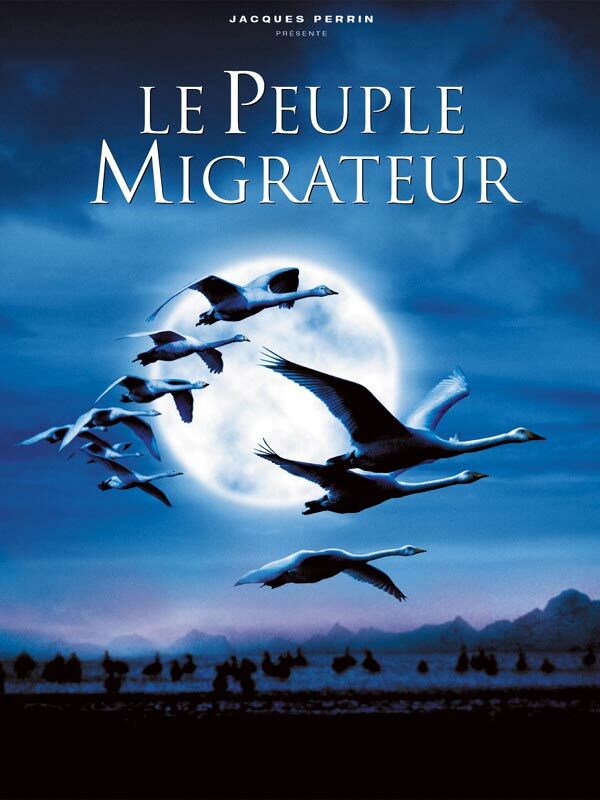 Watched Le Peuple migrateur (winged Migration) of Jacques Perrin again. Another wordless movie. Such a delight. Of colors, music, landscapes, … The cleaner is the mind the deeper is the feeling of the nature and closely connection with the world around. Visible and invisible. Makes me wanna fly. “Our passionate preoccupation with the sky, the stars, and a God somewhere in outer space is a homing impulse. We are drawn back to where we came from.” — Eric Hoffer, ‘New York Times,’ 21 July 1969, regards the first moon-landing. Across the oceans Across the seas, Over forests of blackened trees. Through valleys so still we dare not breathe, To be by your side. Over the shifting desert plains, Across mountains all in flames. Through howling winds and driving rains, To be by your side. Every mile and every year for every one a little tear. I cannot explain this, Dear, I will not even try. To be by your side. Every mile and every year, For every one a single tear. For I know one thing, Love comes on a wing. For tonight I will be by your side. But tomorrow I will fly. Through the frontiers of your sleep. Into the valley where we dare not speak, To be by your side. Across the endless wilderness where all the beasts bow down their heads. Darling I will never rest till I am by your side. Every mile and every year, Time and Distance disappear I cannot explain this. Dear No, I will not even try. And I know just one thing, Love comes on a wing and tonight I will be by your side. But tomorrow I will fly away, Love rises with the day and tonight I may be by your side. But tomorrow I will fly, Tomorrow I will fly, Tomorrow I will fly. Must see documentary: The Dali dimension . How much knowledge was behind his work. Enjoyed so much. For all who belive that art &science & spirituality are closely connected and inspired by each other. And this picture reminds me a bit of J. Carrey’s erased memories in movie Eternal Sunshine of the Spotless Mind I watched yesterday. “THE DALI DIMENSION reveals a completely unknown aspect of one of the most important figures of the 20th Century, and gives new insight to interpret some of Dalí’s masterpieces. …Dalí read scientific literature compulsively, from psychoanalysis to quantum mechanics, and mathematics to genetics. Moreover, he strove all his life to meet relevant scientists: Sigmund Freud, James D. Watson (co-discoverer of the structure of DNA, Nobel prize 1962), Ilya Prigogine (Nobel prize chemistry 1977), Severo Ochoa (Nobel prize physiology 1959). Eternal Sunshine of the Spotless Mind. French director Michel Gondry did a great job – idea is great … and wish of every human somethimes …to erase memories on some events in life. Cos it hurts cos it burns within. But with bad memories good ones would be erased too cos bad and good is cyclic continuum, impossible to divide where good starts or where bad ends. Today i woke up and wanted to see this movie again. Maybe something happened in my dreams, maybe in paralell universe (read Neil Turok yesterday). Don’t know. Just had a feeling that i got to do it. To feel the cycles of life, cyles of Universe. As Turok proposed, there is not one single start of Universe or Big Bang…it’s cyclic. It’s born and reborn. [NEIL TUROK:] For the last ten years I have mainly been working on the question of how the universe began — or didn’t begin. What happened at the Big Bang? To me this seems like one of the most fundamental questions in science, because everything we know of emerged from the Big Bang. Whether it’s particles or planets or stars or, ultimately, even life itself. The film can be described as a simple Buddhist fable: simple but multi layers. All the elements play their own symbolic roles; the snake, the fish, the cat and the frog (all living creatures). The issue of reincarnation is central. The film narrates a personal journey from unawareness and childhood to awakening and maturity. Through the seasons, we are witnessing the flowing nature of life in its pure manifestation: birth,pain,love,despair,death and rebirth. The dialog are concise.They are short but quite sufficient (Buddhism wisdom does not require a lot of words). The brilliant photography adds the beauty. Casts are in deep connection with the context. I’m interested to know Kim is a director or a monk itself? Remembered Japanese author Haruki Murakami , who’s books i like. He is marathon runner. And those quotes are from his interview in Spiegl. Murakami: When I am running my mind empties itself. Everything I think while running is subordinate to the process. The thoughts that impose themselves on me while running are like light gusts of wind — they appear all of a sudden, disappear again and change nothing. And a beautiful music from Era (Gladiator theme: Now we are free), perfect for running …. Watched House of Flying Daggers… stunning pictures, explosion of colours and martial arts. Amazing shoots of bamboo forest and autumn landscape. Literary origins: The film features the theme of a beautiful woman who brings woe to two men. This theme is borrowed from a famous poem written by the Han Dynasty poet Li Yannian. Jin: Just call me Wind. Jin: I wander around all alone, come and go without a trace. Mei: Like a carefree wind? Jin: No, a playful wind.